To lose and ambassador is not a good thing to do and the Obama administration must be held to account for allowing a popular one to be killed in Benghazi on 11th September 2012. It seems that the Governor Romney’s campaign people have focused their spotlight on Obama’s apparent parsimony in the matter of the diplomatic security budget and suggested that was the prime cause of Ambassador Stevens’ untimely death in Benghazi. However, I argue that this manufactured furore is a white elephant – if the GOP stalwarts will excuse the pun. I suggest that the question Secretary Clinton should be required to answer is not, primarily, about the funding of security arrangements at the US Consulate in Benghazi. It is about a failure in old fashioned management and local knowledge which allowed Ambassador Stevens to visit Benghazi at such a sensitive time; made all the more dangerous by the violent feelings resulting from the publication in the US of an ill-conceived anti-Islamic video. Firstly Benghazi is a volatile and, right now, a lawless city. Its citizens have often taken their grievances to the streets, sometimes violently. It was the seat of the 17th February uprising against the Gaddafi regime. It was the provincial capital of Cyrenaica, now called Eastern Libya. 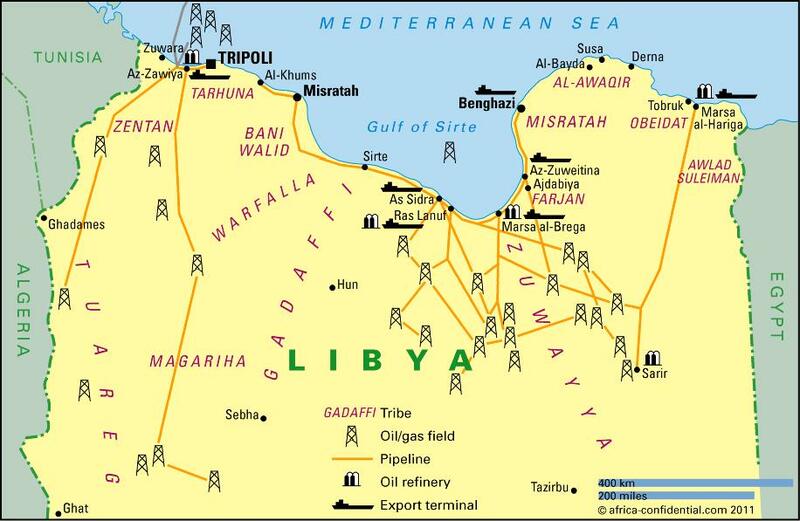 The oil fields are mostly within Eastern Libya, as is the source of water for the Great Man Made River which supplies Libya’s major cities. Benghazi’s people feel that they ‘own’ the oil and the water and that they were the first to risk their lives to rid the country of Gaddafi. There is an air of paranoia and Tripoli envy in the city. There are a number of independent and heavily armed militias in Benghazi. They have developed a taste for summery justice. They were first raised in February and March 2011 to fight against Gadaffi and have neither been disbanded nor absorbed into the National Army or police force. They are employed by the Libya’s embryo government as de facto army units and police forces. One of them was called Ansar Sharia, the most likely perpetrator of the well organised attack on the US consulate during which Ambassador Stevens died of smoke inhalation and the later attack on the CIA annex. The ambassadors’ death seems to have been a deplorable but secondary outcome of the planned attack. There were connections between the Ansar Sharia militia in Benghazi and Derna and the Al Qaeda in the Islamic Maghreb. This must have been clear before 11th September 2012. There was no US Consul in Benghazi. Ambassador Stevens appears to have covered the duties himself, mostly from his embassy in Tripoli. The consulate is housed in a rented villa and appears to have been guarded by a five man security team from the US diplomatic protection service and a rota of Libyan guards employed by a small British security company called Blue Mountain. This company had a Libya partner and other security contracts in Benghazi. The Blue Mountain guards were armed with Tasers and were thus not employed or equipped to defend the consulate against a heavily armed attack. Their British manager appears to have left Benghazi following a difference of views with the company’s Libyan partner. Two of his sometime employees had earlier blown a substantial hole in the consulates perimeter wall with an IED in revenge for their dismissal. The vetting and oversight of Blue Mountain may have been less than rigorous. The consulate was also guarded by members of a local armed militia. The US consulate in Benghazi was the last to fly a foreign flag. The British had evacuated their diplomatic personnel from their Benghazi consulate after an attempt on their ambassador’s life in broad daylight in a well-guarded part of the city. This incident must surely have focused the attention of Secretary Clinton’s Libya watchers in Washington. The British have been useful allies of the US with whom they exchanged intelligence in the past. They have long and well-earned experience of diplomacy in Benghazi. The Red Cross had also left the city after its premises were attacked. They are usually the last to leave in such circumstances. The Ansar al Sharia militia brigade is, therefore, the most likely perpetrator of the well organised attack on the US consulate and the CIA annex during which Ambassador Stevens died of smoke inhalation. His death seems to have been a deplorable but secondary outcome of the planned attack. There are said to have been connections between Ansar Sharia and the Al Qaeda in the Islamic Maghreb. Its rhetoric had been aimed at the US for some time. This must have been well known before 11th September 2012. There were other pointers which must have alerted the US diplomats in Libya to potential dangers. The 11th September was the anniversary of the killing by the US in Pakistan of Abou Yahya al-Libi the al Qaeda second in command. He was a Libyan and revenge taken in Libya for his killing would have been gruesome publicity for the reach and power of al Qaeda. There is now some speculation about Ambassador Stevens’ dairy in which he is supposed to have expressed his suspicion that he was in an Al Qaeda ‘hit list’. Perhaps he was. There is a hit list in Benghazi. He would not have been on it. It is aimed at killing senior police and military officers who had served in the Gaddafi regime. So far fifteen or so have been murdered but the killers have not yet been identified. Ambassador Stevens was popular in Benghazi. He had been posted there very soon after the 17th February uprising and helped those who are attempting to form the new government in Libya immeasurably. He had earned the thanks of the people of Benghazi and, tragically, may have felt safe amongst them. Perhaps he was overconfident. His advisers and superiors in the State Department should have taken more care of him. So the real questions are these. Was the management of the US consulate in Benghazi effective? Was the ambassador’s visit to Benghazi necessary when the conditions there were so volatile? Was the CIA not aware of potential al Qaeda connections in Benghazi? Their expertise and effectiveness in Libya must surely be examined. US citizens will be heartened to know that a 30,000 strong street protest in Benghazi led to the disbandment of ‘Ansar al Sharia’. However, there have since been a series armed attacks in Benghazi which indicate that many militiamen have gone to ground, taking their arms and ammunition with them. 2012, then he bears full responsibility for any security failures that occurred. There are a number of commentators who have never been to Libya who seem ready to write about the killing of the US ambassador in Benghazi. The tragedy has become embroiled in the US Presidential election campaign. The possibility of a premature reaction by the US must alarm us all. The Libyan Prime Minster elect, Ali Zidan, is likely to appoint a cabinet member responsible for finding the killers. There is evidence that two of the possible culprits have been apprehended, one in Egypt and the other in Tunisia. The plot thickens as we await the Congressional hearing on Thursday. The David Petraeus story becomes very intersting for Libyans. He has given evidence before a US Congressional Committe and the LIbyan Herald carried this yesterday. This is the 18th assassination of high level security officials in Benghazi since the revolution. They were all sometime senior officials of the Gadaffi regime. WILL PRESIDENT OBAMA BE FORCED INTO A ‘SHOW OF STRENGTH’ IN LIBYA? As President Obama strives for re-election, pressures may be mounting on him to strike at those who killed the US ambassador and his colleagues in Benghazi on 11th September. The process of identifying and selecting the possible assassins in Libya is well advanced. The President’s reactions in this matter will be guided by public opinion at home as well as by strategic imperatives. To allow the killer of one of his ambassadors to go unpunished will have both domestic and international repercussions. Whatever the outcome, the killing of Ambassador Stevens will change the way US diplomats conduct their business abroad and security considerations will limit their effectiveness. There is no shortage of those who suggest that the USA has lost influence in Africa as a result of President Obama’s weakness. There are indications, for example, that the Egyptian army is ‘retiring’ many officers suspected of being too close to the USA. The al Qaeda led destabilisation of Mali is likely to affect Niger, Chad, Burkina Faso and Mauritania. The tension between the Muslim north and the Christian south of Nigeria will open up many opportunities for the promoters of violence, notably the al Qaeda franchise Boko Haram. The US policy in Libya must be seen in the wider context. ‘Al Qaeda in the Islamic Maghreb’, now in de facto control of much of Mali, has been seeking a foothold in Libya and has found friends in the Salafist ‘Ansar al Sharia’ militia brigade in Benghazi and Derna. The US has long been interested in Derna, the seaport some miles to the east of Benghazi, where a number of young men were recruited to fight with the Taliban in Afghanistan and some have been returned to Libya by way of Guantanamo. One Derna resident in particular has a most interesting profile according to Wikileaks. He is Abu Sufian Ibrahim Ahmed Hamuda Bin Qumu who was a prisoner in Guantanamo Bay for six years. He was a member of the ‘Libyan Islamic Fighting Group’ and later trained in an al Qaeda camp in Afghanistan and fought there as a commander of Arab volunteers. When in 2007 the Guantanamo Bay issue became and embarrassment to the Obama administration Bin Qumu was released and returned to Libya where the Gadaffi regime agreed to keep him in prison. However, in 2010 he was released from the notorious Abu Salim jail as part of an amnesty for anti-regime prisoners. He is one of founders of the ‘Ansar al Sharia’ militia in Derna and Benghazi and it is this group which is suspected of the attack on the US embassy on 11th September. A 30,000 strong street protest in Benghazi led to the disbandment of ‘Ansar al Sharia’ but there have recently been a series armed attacks in Benghazi which indicate that many militiamen have gone to ground, taking their arms and ammunition with them. The investigation which followed the killings on 11th September is not yet complete but an interesting hypothesis is developing along the following lines. Soon after the civil war in Libya got underway the US established a CIA post in an annex near the US embassy in Benghazi. From here signals traffic between Libyan suspects and al Qaeda units were monitored. It is probable that the location and function of this annex became known to the Ansar al Sharia militia. It is also supposed, on good grounds, that this militia was recruited by ‘Al Qaeda in the Arab Maghreb’. It is argued that ‘Ansar al Sharia’ made a plan to attack the embassy and the annex which were surrounded by high walls and guarded by some US security specialists and some locally employed contract personnel. The plan was left ‘on the vine’ to await an opportune moment for its execution. That came on 11th September when angry crowds demonstrated outside the US embassy against a now notorious and ill-conceived anti-Islamic video. Ambassador Stevens was also visiting the embassy on 11th September, apparently to interview a Lebanese contractor. Did Ansar al Sharia have foreknowledge of the ambassador’s presence in Benghazi? When the protest started outside the embassy ‘Ansar al Sharia’ militiamen launched their attack. They were appropriately armed and used mortars to lob bombs over the high walls. The nature of the attack in which weapons were used skilfully means that experienced fighters were involved. It was well planned operation which took the form of two assaults, the first on the embassy and the second on the so called annex situated about half a mile distant. US drones launched above Benghazi and Derna soon after the attack picked up telecoms between ‘Ansar al Sharia’ operatives in Benghazi and known al Qaeda units. It is, therefore, likely that the attackers were linked with ‘Al Qaeda in the Islamic Maghreb’. Among the American personnel evacuated from Benghazi after the attack were about a dozen C.I.A. operatives and contractors whose presence may have been betrayed to ‘Ansar al Sharia’. There are few foreigners in Benghazi at the moment and the presence of so many Americans must have been obvious. It is has always been a city where news spreads rapidly by word of mouth. Unless the US personnel lived without locally employed domestic servants their lives would have been subject to the closest scrutiny. President Obama will have a number of options to consider. He has, however, made it clear that the US will punish the killer of Ambassador Stevens and his colleagues. What will he do?